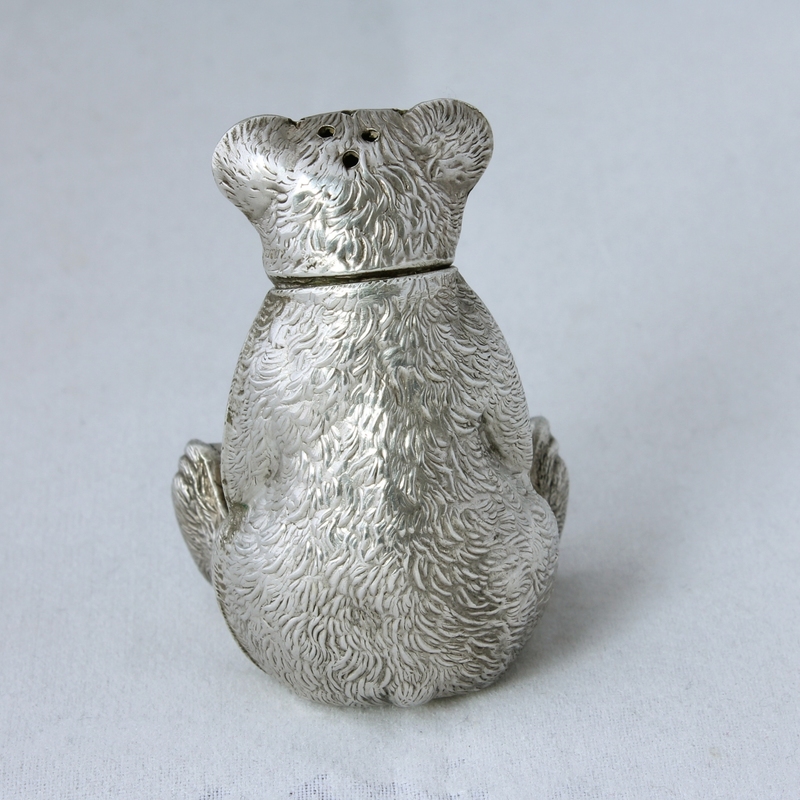 Antique Silver Teddy Bear Pepperette / Pepper Pot. 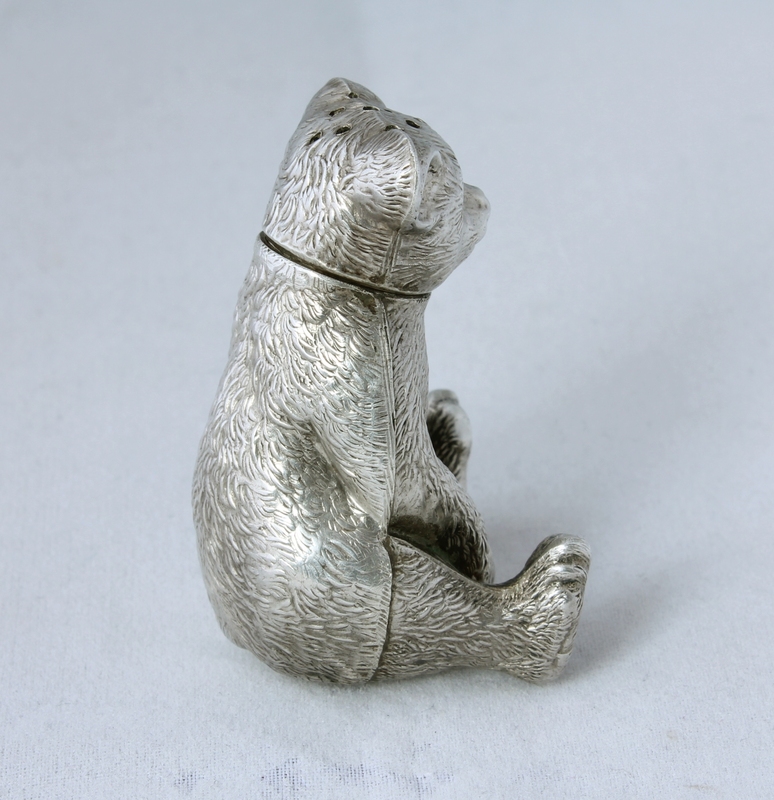 Edwardian Hallmarked 1909. 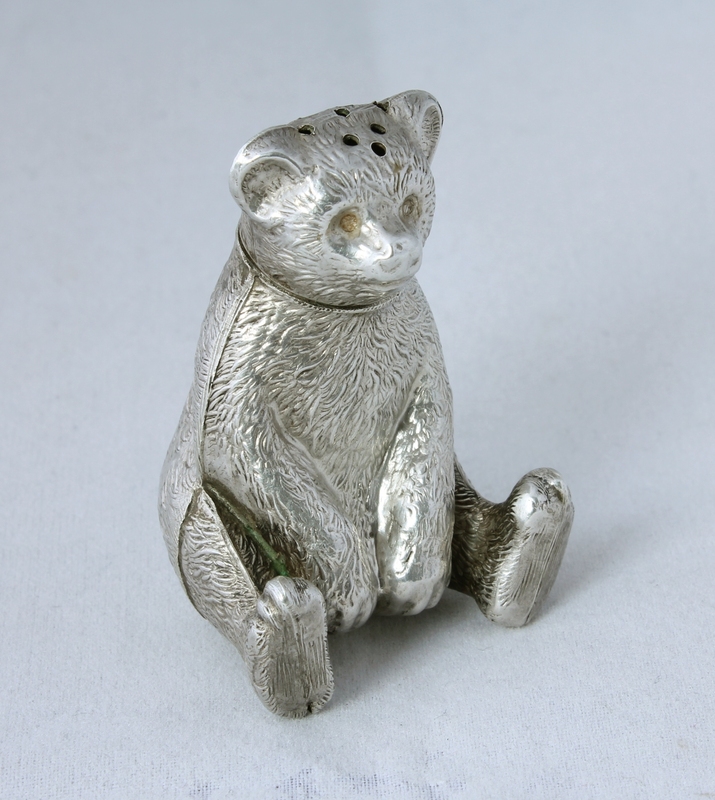 This gorgeous silver bear is over 100 years old and was a rather useful bear as he is actually a pepperette. 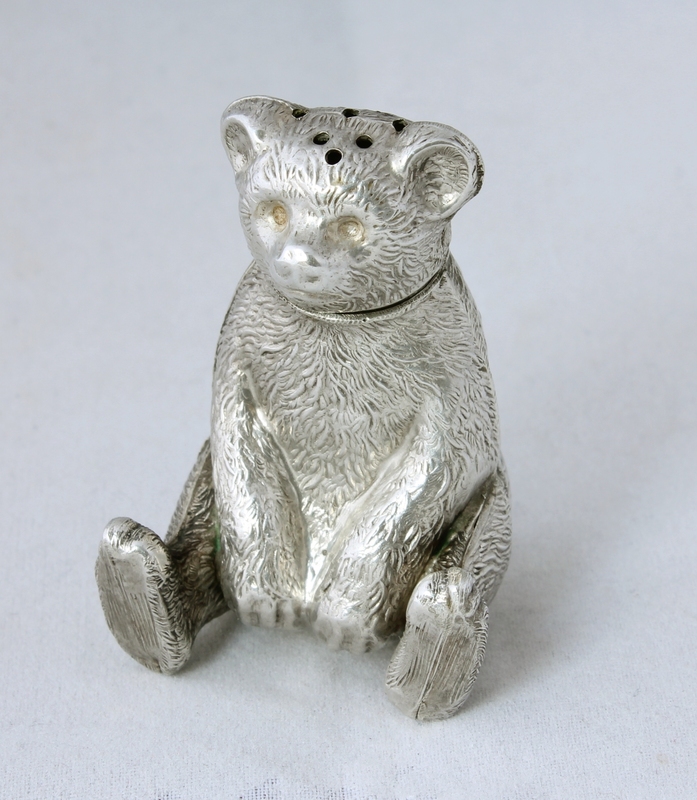 Novelty pepperettes were very popular in the early 20th century and rare ones like this bear which is made of fully hallmarked sterling silver are now very desirable and keenly collected. This one is a bigger size than others I have seen which makes him extra special. Height 5 cm / 2". 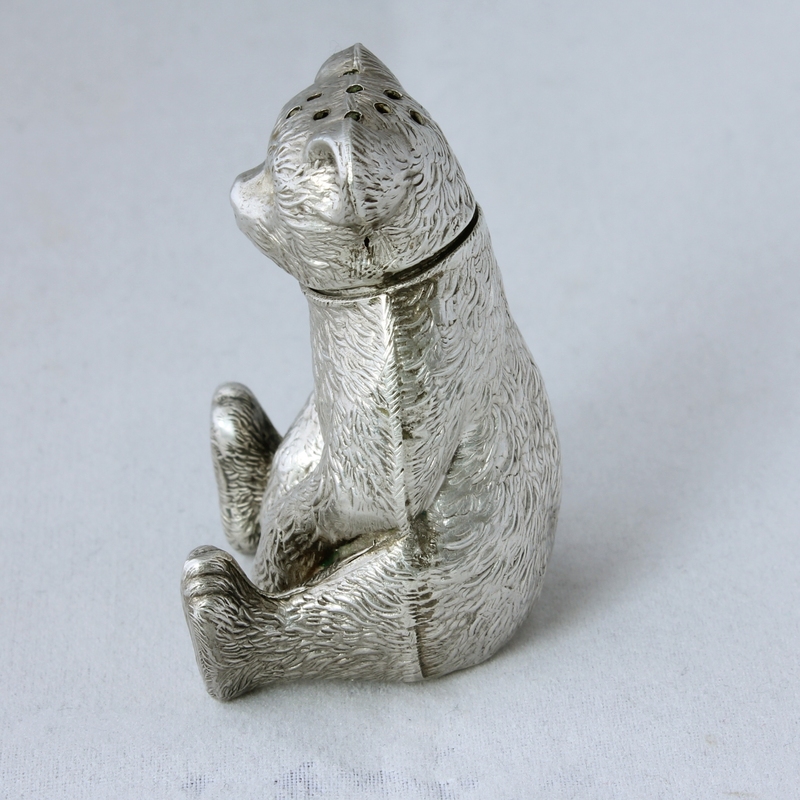 Hallmark: Hallmarked with the lion for sterling silver. Birmingham. k for 1909. Makers mark is rubbed. 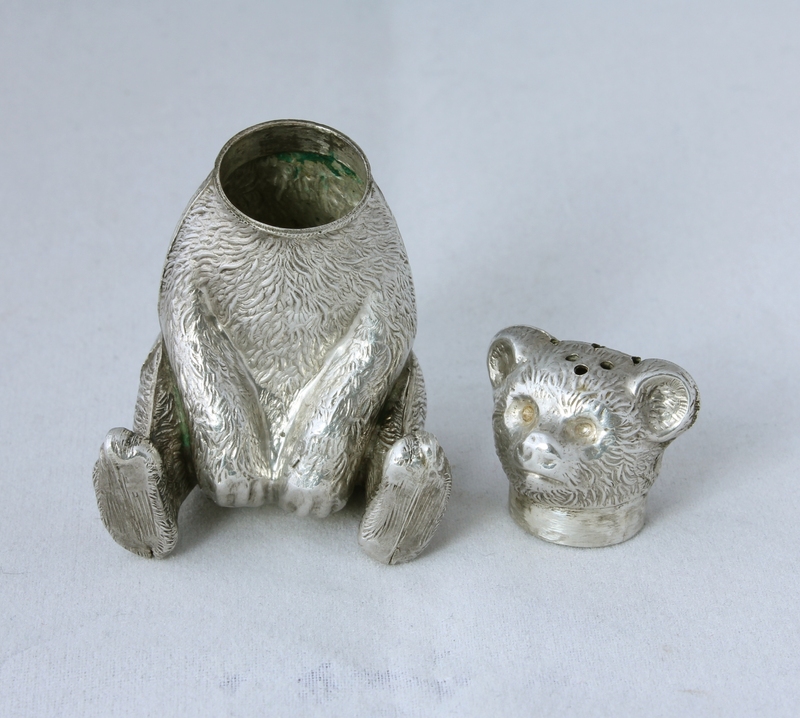 Very good antique condition. Signs of use in keeping with age. Hallmarks partly rubbed. Small gap in seam on bottom of foot but this does not really show.